Tanea Moniquex | Celebrity Entertainment News, Fashion, Music and Advice: Jermaine Dupri Thinks Ciara Ripped Off Ushers "U Got It Bad"
Jermaine Dupri Thinks Ciara Ripped Off Ushers "U Got It Bad"
Just last week Pharrell Williams and Robin Thicke had to hand over $7.4 million dollars to Marvin Gaye's family for copy right infringement. 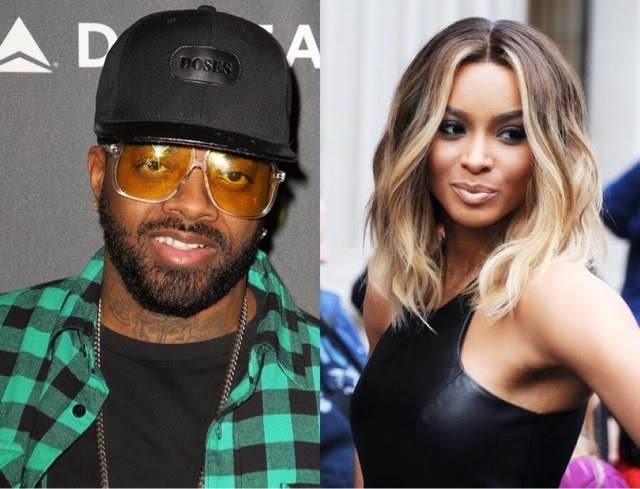 And Ciara may find herself forking over a bit of cash to producer Jermaine Dupri because he believes the singer's new single "I Bet" is a complete rip-off of Usher's "U Got It Bad", that he produced in 2001. "Ciara's new single is a complete rip-off of Usher's 'U Got It Bad' ... I'm clear on what I made and I'm clear on how music influences people and I'm clear on chord changes and how people move things. ... It might not be as evident as the 'Blurred Lines' situation, but I believe the same things happened to me." J.D claims he, Usher and producer Bryan Michael-Cox noticed the similarities immediately and suggest that Tamia's 'Still' was also sampled, another song he produced. He claims he will be reaching out to Ciara and the producers, hoping credit will be given. We've listed the song's below for you to decide.